Rocky Mountain high now has new meaning for those enthusiasts who love zipping over canyon walls. 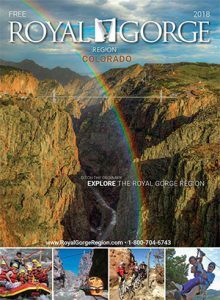 With several zipline companies in the area, there are many opportunities to soar through the Royal Gorge Region. The Royal Gorge Region is home to Colorado’s first zipline tour company, Captain Zipline Aerial Adventure Park. Their zipline tours suspend visitors over ancient lime kiln ruins and silver mines. They offer seven lines hung between rugged 300-million-year old cliffs where speeds can reach 40 mph. In addition to experiencing the thrill of their ziplines, guests will be able to choose the aerial park tour that offers 120 challenge elements, including a jungle gym in the canyon with swinging bridges, ladders, tightropes, catwalks, and obstacles. Test your skill on the Via Ferrata, an activity that allows guests to climb along the canyon’s rock face using a smart belay system. Another great zipline company is Royal Gorge Zip Line Tours, which offers a total of 20 zip lines between their classic and extreme courses, spanning over miles of exhilarating adventure. Choose from their most popular tour, the Classic Course, or zip along with their newer Extreme Zip Line Course—one of the fastest courses in North America! 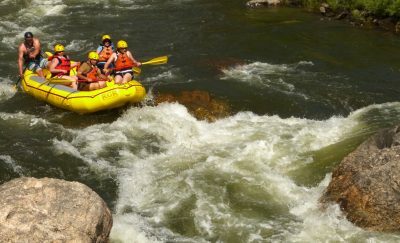 Royal Gorge Zip Line Tours will guide you through thrilling and exhilarating adventures that race across the Royal Gorge plateau or near the Arkansas River, where you will have classic Colorado views of the adjacent 14,000-foot peaks of the Sangre De Christo mountain range and the surrounding area. Along the tour, you will be able to take advantage of easy paced hiking trails where your guides will teach you about the area’s local history and terrain. 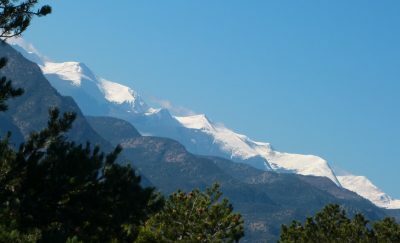 A few of the trails will take you along Colorado’s historic Stage Coach Road, a place where the settlers long ago forged their way through Colorado’s untamed, wild west landscape. Finally, at the Royal Gorge Bridge and Park, you can fly through the air, over 1,200 feet above the Arkansas River in the Zip Rider. These are just a few of the many places that offer zip line tours sure to deliver smiles and pure wind-in-your-hair excitement. While enjoying the thrill, don’t forget to take in the spectacular views from high above the canyon floors.